Although the Russian Federation is a signatory to the Hague Service Convention, service of process from the United States to Russia does not occur pursuant to the Convention. 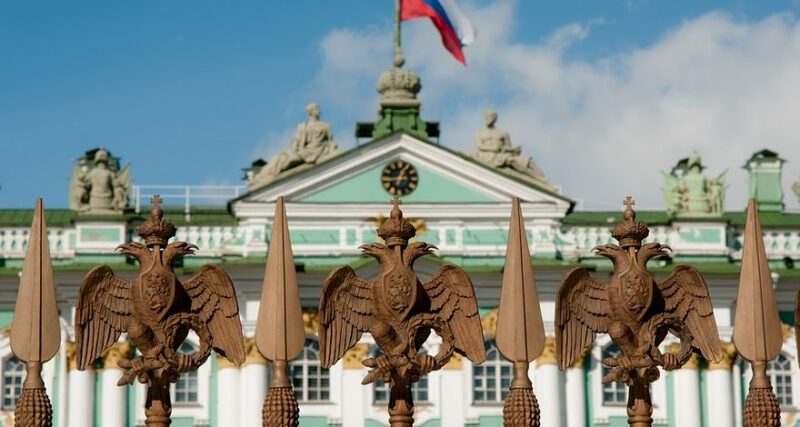 According to Russia’s reservations and declarations to the Convention, international service of process upon a Russian defendant is only proper if the service is sent to the Russian Central Authority (RCA). The problem is that the RCA is non-functional. Delex v. Sukhoi Civil Aircraft Company, No. 73068-1-I (Wash App. Ap 18, 2016); Fisher v. Petr Konchalovsky Foundation, No. 15-cv-9831 (AJN)(SD NY Mar. 10, 2016). Accordingly, in 2016, we recommended obtaining service of process in Russia by filing a motion for service by other means. Based on the case law at the time (id. ), such motions needed to be supported with an affidavit – from a company like Legal Language Services — concerning the RCA’s non-functionality. However, since the filing of our 2016 blog, times have changed. “A court is afforded wide discretion in ordering service of process under Rule 4(f)(3).” Citing Rio Properties, Inc. v. Rio Int’l Interlink, 284 F.3d 1007, 1016 (9th Cir. 2002). The court observed that the plaintiff had “sought to effect service under Rule 4(f)(2)(C)(ii) by having the Clerk send by Federal Express the summons and complaint with Russian translations to both defendants. Neither package was able to be delivered.” Note: Although such mail service is permitted under US law (Water Splash, Inc. v. Menon, 581 U.S. ___ (2017)), it is prohibited in Russia. See the Russian Federation’s declarations and reservations to the Hague Service Convention cited above. So, even the clerk’s mailing had been delivered to the defendant it would not have been valid service. See Water Splash. Notwithstanding Rule 4(f)(1), however, Rule 4(f)(3) grants district courts with discretionary authority to direct service “by other means not prohibited by international agreements.” Citing Knit With v. Knitting Fever, Inc., No. 08-4221, 2010 WL 4977944, at *3 (E.D. Pa. Dec. 7, 2010). Note: Because service by email or social media is not covered under the Hague Service Convention, the Russian Federation’s declarations and reservations to the Hague Service Convention are not applicable. “In this case, Russia, despite being a signatory to the Hague Convention, unilaterally suspended all judicial cooperation with the United States in civil and commercial matters in July 2003. Because of this, it is fair to conclude that there are no internationally agreed means of service for those cases in which the defendant being served resides in Russia, and that any attempts to serve process through Hague Convention procedures would most likely be unsuccessful. Based on this logic, federal courts have permitted alternative means of service in cases where it would be ‘futile’ to attempt to comply with Hague Convention approved means of service.” Footnote and citations omitted. In this case the court authorized service both by email and upon the defendants’ brokers. Although the court took notice of the above facts without the plaintiff submitting an affidavit to support these facts, the court also took notice that the plaintiff did not “support the information relating to Defendant Shepelev’s alleged email address with a declaration or affidavit. These factors — especially when combined with the fact that Defendant Shepelev does not appear to have actual knowledge of this lawsuit — suggest that the proposed method of service is not reasonably calculated, under all the circumstances, to apprise Defendant Shepelev of the action and afford him an opportunity to respond.” Mullane v. Cent. Hanover Bank & Tr. Co.,339 U.S. 306, 314 (1950). Accordingly, the court declined to order service by email. Goes Int’l, AB v. Dodur Ltd., No. 14-CV-5666 LB, 2015 WL 1743393, at *3 (N.D. Cal. Apr. 16, 2015) (service by email appropriate where the plaintiff had “frequent correspondence” with a defendant through the proposed email addresses); Neumont Univ. v. Nickles, 304 F.R.D. 594, 600 (D. Nev. 2015) (service by email appropriate where a defendant had responded to communications directed to the proposed email address “since almost the beginning of the litigation”); JBR, Inc. v. Café Don Pac, Inc., No. 12-CV-02377 N.C. 2013 WL 1891386, at *6 (N.D. Cal. May 6, 2013) (service by email appropriate where there was evidence of prior email communication between the plaintiff and the defendant). While an affidavit of the RCA’s dysfunctionality seems to be no longer required, unless the plaintiff can prove the defendant either speaks English or does business in English, service by email or social media still requires a certified Russian translation of the documents served. Mullane v. Cent. Hanover Bank & Tr. Co., 339 U.S. 306, 314 (1950). If you require certified translation, call or email the professionals at LLS today.